Hit the trail—the Kentucky Bourbon Trail, that is! 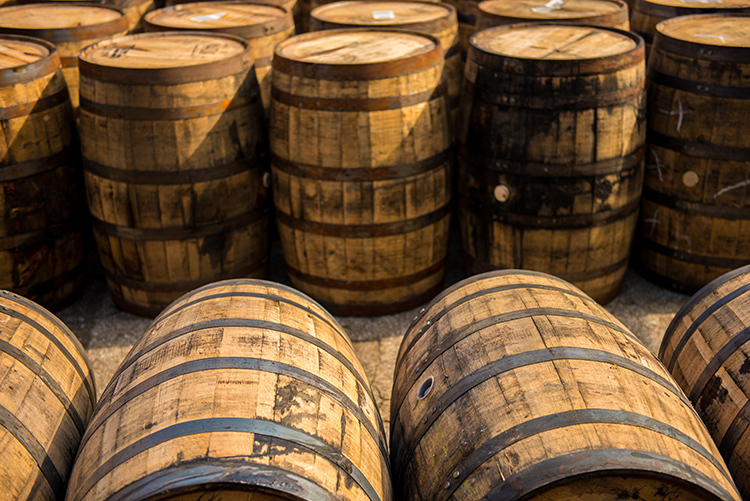 The Bourbon industry has been enjoying an unprecedented renaissance, with craft distillers both large and small enjoying growth like never before. Bourbon clubs and tours are growing, as is the hobby of enjoying the spirit with friends. Join us and bring your significant other or a friend on November 18, 2017 as we explore a bit of Kentucky and make several stops on the Bourbon Trail. You will hear stories of what makes these distilleries unique, including legends and lore of the Bourbon craft. The tour will consist of three distilleries, including a craft micro-distillery, and lunch at Goodfellas in Lexington, KY. You’ll receive passports that will help you track your progress along the trail. The cost of the tour is $25 per person. Each Scottish Rite Mason may bring one guest. This event is limited to 50 people and is on a first-come, first-served basis. Registration and pre-paid admission are required to reserve a spot. The bus will be departing from Florence Mall (we will meet in the northwest area of the mall parking lot by Sears by 8:00 a.m.) at 8:15 a.m. We anticipate that we will return to Florence Mall by 6:00 p.m.
Limit: Two tickets per member. We will cancel any order for more than two tickets. Enter your member number as it appears on your Scottish Rite dues card, then click Add to Cart. Tickets are $25.00 each, plus a $1.00 handling fee for the first ticket. Event tickets are limited to 50 attendees on a first come, first served basis.